Was it ever-ever-ever really alive and within your reach? Or did it crumble in the face of a sweet success with a meek retreat? Will the world still spin this night despite this man? How can you do it when you show up late for that? Could there have ever been a better bet laid on a surer thing? And your key no longer unlocks that door? Analysis: This a totally original song, fusing a melancholy power ballad with a precise, marching drum beat, revolving, almost funky bass line, and an excellent, bluesy, guitar lead. The vocals and lyric are almost secondary here, but still they portray the sad lament in the epilogue of a broken relationship. Further the song is asymetrical, nearly a mini-suite, with the story told in the form of a journey. In over 20 years of recording with The Badlees, and The Cellarbirds, and various other groups, this is the only individual songwriting credit for Ron Simasek, according to the All Music Guide. “33 Flames for Mary” is the origin of the “33”, later used in the song “33 Shots at Louis”, the album Imaginary Lines 33, and ultimately the company 33 Dimensions LLC (parent company of Cygnus Wave). To offer your own analysis of 33 Flames for Mary, please leave a comment in the box below. 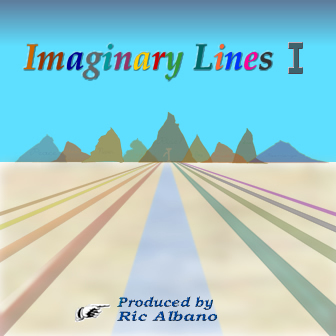 Imaginary Lines is a studio project produced by songwriter and musician Ric Albano. It was initiated in 2004 and has yielded two full-length albums; Imaginary Lines I (2005) and Imaginary Lines II (2007), and will culminate with the triple-length compilation Imaginary Lines 33 in 2009, the final Imaginary Lines product. Ric Albano had been an active songwriter, producer, and performer in the Hazleton, Pa. area for over a decade starting in 1985. Educated as an audio engineer, he wrote and recorded several semi-professional albums under the pseudonym RAREx, later renamed Wahray and Soul. Many of these recordings have recently been remastered and released by Cygnus Wave as a 72-song collection called The Evolution of Noise, 1987-1995. From 1996, Albano entered into an undeclared era of retirement from songwriting that would last for the better part of a decade. In those subsequent years he developed several extended piano instrumentals that were worked and reworked until finally being forged into the songs that would become some of the earliest Imaginary Lines tracks (“the original six”). These included “Twilight of Innocence“, “Dawning of Decadence”, “Welcome Home”, “Episode IV” (a Star Wars tribute which was later re-written as “Lorelei“), “Imaginary Lines”, and a couple of instrumental pieces that would later be combined to form “Good Friday“. In 2003, a couple of more songs – “Anthem” and “33 Flames For Mary” – were written and added to the mix. Originally, Imaginary Lines was to be a “concept album” with several songs that focused on the chasms between perception and reality. Some of the songs that fit well into this concept were “Lorelei” and the title song (“Imaginary Lines” which later became “Soliloquy” and then ultimately “One“). Several other songs that appear only on the 2004 demo were written in this fashion such as “Speak No Evil”, “Paradise”, “Elitist Lament”, and “I Don’t Want to Live Without It”. Over time however, better, more traditional songs were developed to replace the “concept” songs, including “Good Friday“, the 2 written in ’03, and newcomers “Perfect Light” and “The Phoenix“. The demo was completed in December, 2004 and Albano spent the early months of 2005 shopping for a recording studio in the Harrisburg area. After meeting with Bret Alexander at Saturation Acres in Danville, Albano decided that was the place for him and recordings on Imaginary Lines I began on April 7, 2005. Taking advantage of the “house band” feature of Saturation Acres, Albano brought on Cellarbirds Bret Alexander on guitars and Ron Simasek on drums. He originally envisioned using several more session players and singers for this album but found that to be over ambitious and costly. Nevertheless, he was determined to make Imaginary Lines I a richly produced album and did so by layering the songs with digital effects, orchestration, and counter-melody. After drums, guitars, and bass were recorded at Saturation Acres, Albano added keyboards and vocals at home studio along with all initial mixing and mastering. Ultimately, the album contained nine tracks; seven (or half) from the 2004 demo along with two tracks written in early 2005 – “Peace” and “Donovan’s Dread“. There were also two tracks recorded at Saturation Acres that were excluded from the album – “Welcome Home”, which would not appear until Imaginary Lines 33 and a version of “Lorelei” that was determined to be too slow and was chucked in favor of overdubbing and remixing the original, demo version of the song. Over half the songs on the album were longer than five minutes in length and all were constructed with unique arrangements, chord patterns, and instrumentation. The ultimate goal being to compose something of longevity, with new discoveries on every listen, and which might still sound fresh five or ten or twenty years down the line. As the first album neared completion, Albano decided that Imaginary Lines would be a 3-album “trilogy” with a definite end, presumably in 2007, no matter how successful the project would be with the public. This plan would lated be adjusted. Imaginary Lines I was released on October 24, 2005 to moderate reviews that ranged from positive comparisons to Genesis, King Crimson, and Pink Floyd to negative comparisons to “show tunes” or over-indulgent prog rock or worse. Ironically, it was Albano’s primary goal of producing a richly-layered album that also may have caused Imaginary Lines I to lack accessibility to the casual listener. 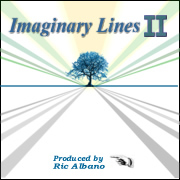 While unapologetic about this initial project, Albano was receptive of honest critique and decided early on that the next album, Imaginary Lines II, would consist of more traditional, shorter, and simpler rock songs. Production for Imaginary Lines II was set to begin in April, 2006, with a timeline similar to that of the previous year and album. The intention was to combine several songs written in late ’05 and early ’06 with a few of the original demo songs left off of the first album. However, these plans got delayed and production on this album did not begin for over a year. Albano decided to use this time to write in volume, and 2006 became his most prolific songwriting year of the era. “Crimson, White & Indigo“, “The Last Man to Walk Alone“, “The Cup“, “Keep Doing What You Do“, “She Said“, and “Believe” were just some of the songs conceived during the year. A song called “Deuce” was written to end the album with a link to another song “The Last Day of February”, which was set to kick off the album Imaginary Lines III, but neither this song nor album ever materialized. The earliest version of a song called “Trinity”, which was intended be the final song in the collection (last song on Imaginary Lines III), was also composed, cleverly making the final songs in each album to read: “One”, “Deuce”, “Trinity”. A couple of upbeat instrumentals were also written; one called “Can’t Get My Mojo Risen’” and another called “I Kicked a Dog”. Recording for Imaginary Lines II finally got underway on April 13, 2007 at Saturation Acres. Ron Simasek was again enlisted for drumming duties, but no immediate plans were made for guitar tracks, as Albano tried to stick to the simplicity principle of just piano/bass/drums/vocals of each song with each song being either three or four minutes in length and with a “traditional” arrangement. One planned deviation was to be the 16-minute-plus, four-part “Ocean Suite”, which concatenated two of the “original six” – “Twilight of Innocence” and “Dawning of Decadence”, with the new songs “The Old Man In the Sea” and “Here On the Beach“. 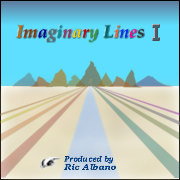 A couple of the later songs written for Imaginary Lines II were the near-comical “Naked“, probably the closest to 1970’s pop that Albano would come, and the driving rocker “The Fool’s Overture“, which picked up the “dangling string” from “One” and kicked off the album. As production progressed on Imaginary Lines II and projection on Imaginary Lines III was assessed, Albano determined to change the overall arch of the project. First, as the deadline of the end of ’07 rapidly approached, Imaginary Lines II was trimmed to 12 tracks by excluding the song “Half Hearted” and including only “Here On the Beach” from the extended “Ocean Suite”. Also, the song “Trinity” had morphed into “Long Way Home” and would conclude this album instead of Imaginary Lines III, which was scrapped altogether due to lack of focus and/or strength of the projected material for that album. Instead, initial plans were made for a large compilation that would include both Imaginary Lines I and Imaginary Lines II in total, along with some of the better songs either excluded from those first two albums, or slated for the now-defunct Imaginary Lines III. So it was that an intentionally under-produced version (or “Naked” version as it was sometimes called) of Imaginary Lines II was released on December 27, 2007, with the promise and understanding that the full version would be featured in the upcoming “33” compilation. The significance of the number 33 has a bit of history, as Albano considered that as an artist title when he was actually aged 33 (2001-2002). It was later in the title “33 Flames for Mary“, although that was more coincidental than by design. During the later phases of Imaginary Lines II, Albano wrote a light-hearted reciprocal to that song, from the instrumental that was “I Kicked a Dog” and renamed it “33 Shots at Louis“. He also considered a third “33” song (“33 Visions of Time” from the unpublished song “Only a Matter of Time”), but that never materialized. Nevertheless, “33” was a real number to be met by total track numbers and several decisions needed to be made to reach it. Even though far more songs than that sum had already been written (in whole or in part) by the end of 2007, some judicious editing needed to be made to optimize the remaining selections. Ultimately, Imaginary Lines 33 would be made up of 3 distinct sections (spread over 2 discs in hard copy). The first section of the compilation (tracks 1-8 of disc 1) is made of previously unreleased material, save that which was omitted from Imaginary Lines II due to time constraints. These include the songs “Crimson, White, & Indigo“, “Tommy’s Got a Gun” “Deuce“, “Princess of Pearl Avenue“, and newcomers “Sister Josephine“, “999 Escape“, and an instrumental titled “Rubicon“. Also included is “Ashes“, which appeared as the prefix link in the Imaginary Lines I version of “The Phoenix“. This leads into the second section of Imaginary Lines 33 (tracks 9-17 of disc 1), which is the whole of Imaginary Lines I – nearly verbatim. Aside from the re-mastering, the only significant changes to the original are the omission of the “Ashes” intro into “The Phoenix” (the new “Ashes” immediately preceeds “The Phoenix” anyway) and the editing out of about 36 seconds of ad-lib during the coda of “Perfect Light“. Also the faint lyrics (…where is the buzz when you need it the most/drowned in black coffee, eggs, bacon, and toast…) were re-instated into “Lorelei” shortly after the organ solo in the mid section. The first disk ends much the same as Imaginary Lines I, with “One” and the fading of the “dangling string”. The second disk (and third section of the compilation) is made wholly of the full, complete version of Imaginary Lines II. Starting with the introductory “dangling string” during “The Fool’s Overture“, it is immediately apparent that this is updated from Imaginary Lines II, as Bret Alexander’s droning guitar (originally recorded along with “One“) joins in. All of these songs on disk 2 were remixed and re-mastered, with many having guitar parts added by Erik Trabert as well as further arrangement and production enhancements (albeit not quite to the level of Imaginary Lines I). The sequence of songs follows the same pattern as the original Imaginary Lines II up to track 9 (“The Cup“), with tracks 10-13 being the separately listed tracks of “Ocean Suite”, followed by “Naked“, the previously omitted “Deuce and “Half Hearted“, and finishing with “Long Way Home“. 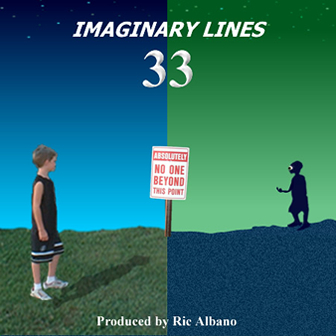 With the release of Imaginary Lines 33, the project has come to it’s completion. Being that there are no immediate plans to perform live shows, the name “Imaginary Lines” is effectively retired.